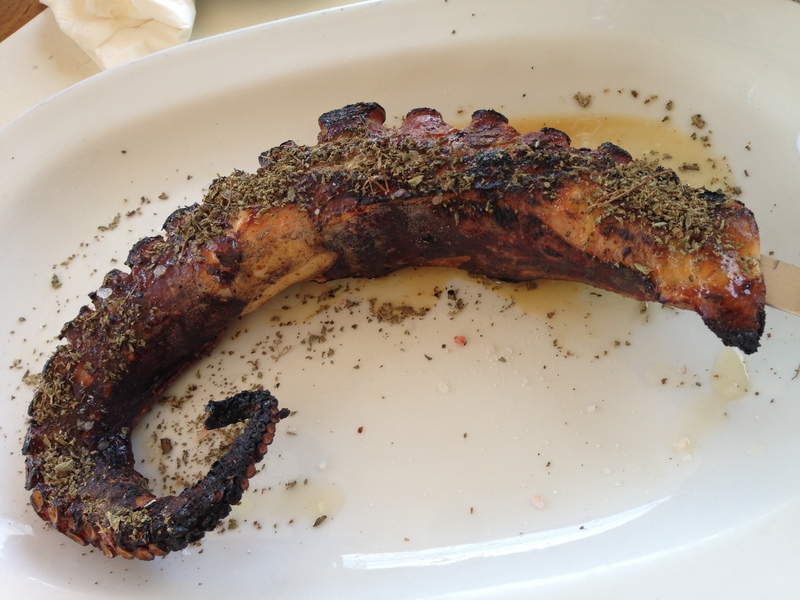 Sitting in a taverna in Tinos enjoying the cool breeze, it isn’t often that Greek restaurants serve fresh octopus given it is much easier to buy it frozen, and the reality is there isn’t enough fresh to be harvested for the population of visitors that crave it’s legs. Even with eight arms per octopus you may, or may not have noticed that each octopus has a short leg. The male uses this arm to pull sperm from his mantle and insert it into the female’s mantle cavity with a spoon shaped organ called a hectocotylus at the end of one of his tentacles. The sperm is potent until the female lays her eggs, which is sometimes months later. The female remains in her den and refuses all food during the 78 day incubation period. She stays with her eggs until they hatch and then dies. After mating, the male loses his ability to camouflage and loose his will to live and eventually dies from starvation.